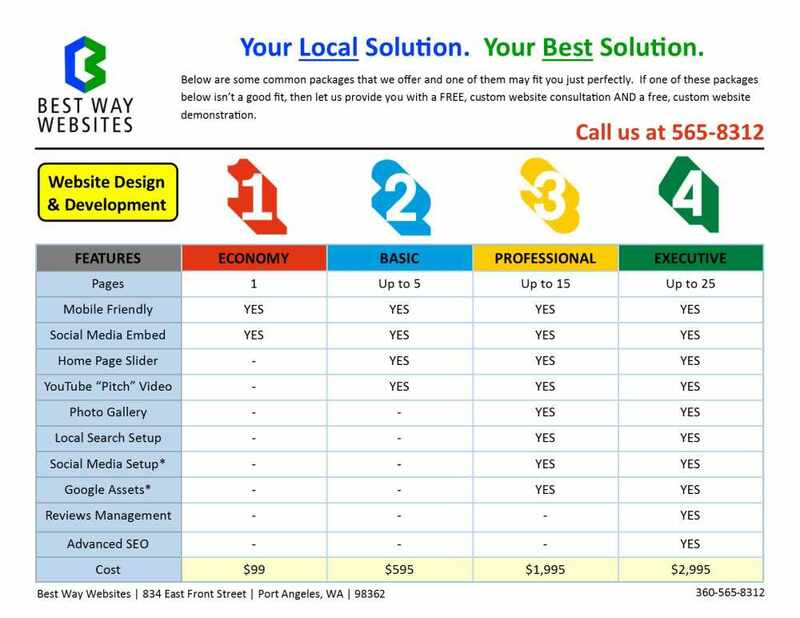 Best Way Websites will provide a solution for any budget. Let us know what you need and we will provide a custom package the fits your business and budget. We have been putting together websites that work for small business owners since 1998. As a result, we have created Package Deals that perfectly fulfill the needs of most of our clients. A 15 Page Complete Website for small businesses. Gives you 10 "standard" pages and 5 article pages. This development includes a home page "slider" with up to 10 transitions, key social media, youtube "pitch" video, photo gallery and more. Main pages are typically: home, about (with sub page for directions), reviews, products/services, photo gallery, faqs, resources (links with "link to me" code), articles page, videos page and contact form. The 5 articles will also be published as .rss feeds. $298/mo Save $300 Pay Annually!!! A Lighter Solution to Meet Your Budget Needs. 10 Page Complete Website for small businesses. This development includes a home page "slider" with up to 10 transitions, key social media, youtube "pitch" video, photo gallery and more. This product also includes the setup of electronic assets such as google: my business (maps), google+, google analytics; and social media including: facebook and twitter. $198/mo Save $200 Pay Annually!!! 5 Page Website for small businesses. This development includes a home page "slider" with up to 10 transitions, key social media, youtube "pitch" video and more. 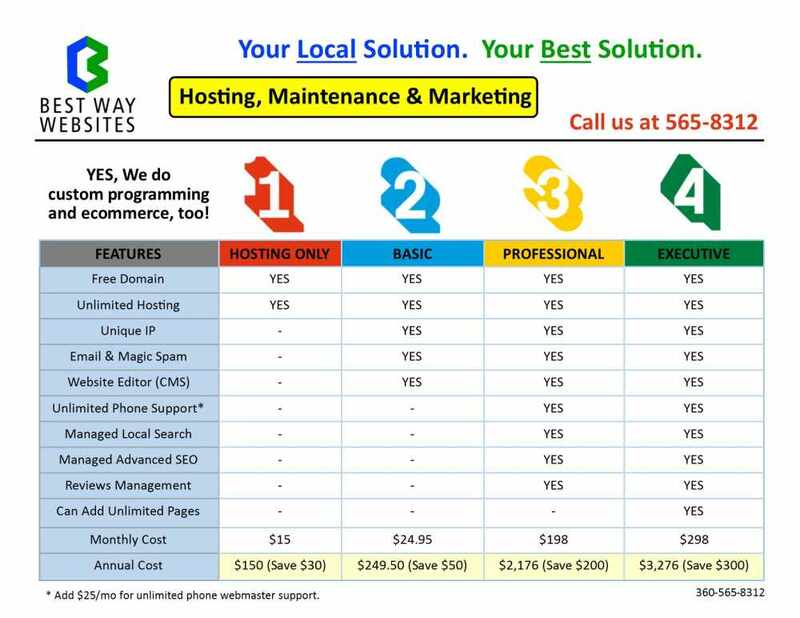 $49.95/mo Save $50 Pay Annually!!! $24.95/mo Save $25 Pay Annually!! !